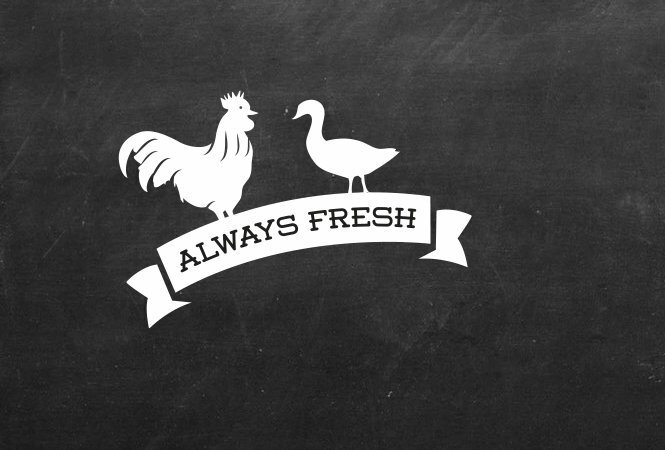 Our free-range chickens and ducks are sourced from a small farm near Bath. They are hung before being eviscerated, hand plucked and dry waxed. As they are not wet plucked, they benefit from a longer shelf life, as well as a wonderful flavour and texture. 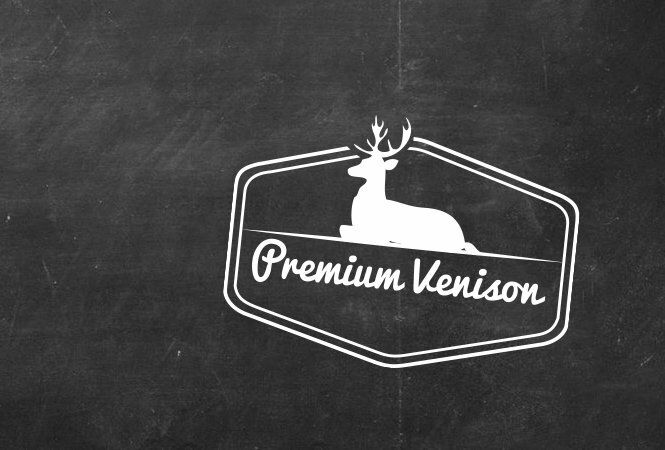 Our venison is sourced from a local game farm just across the River Severn. We then dry-age it here in Olveston for 3-4 weeks, which gives it a lovely rich colour. We never vacuum pack. Our sausages are handmade and plaited using a prime shoulder of free-range pork and natural casings. 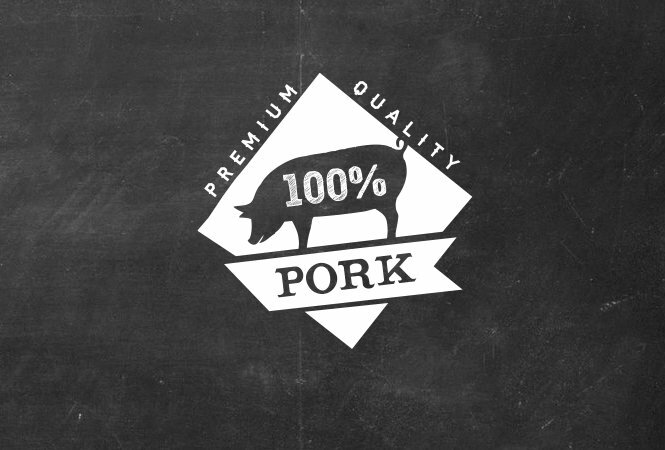 We make our sausages to order, so we can tailor them to your recipe and requirements. 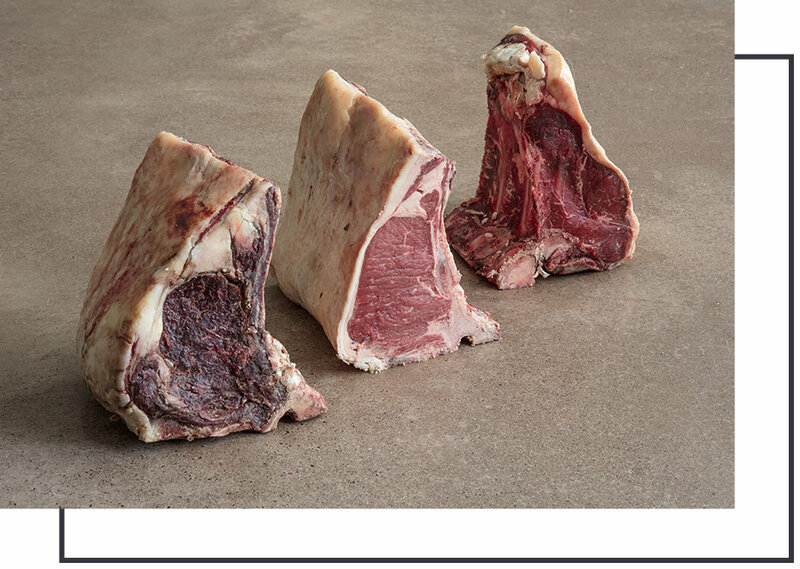 We choose to dry-age our meat because it allows the flavours to mature and the meat to tenderise. We don’t use salt chambers as they have a tendency to force the moisture out of the meat too fast, which can affect the texture. 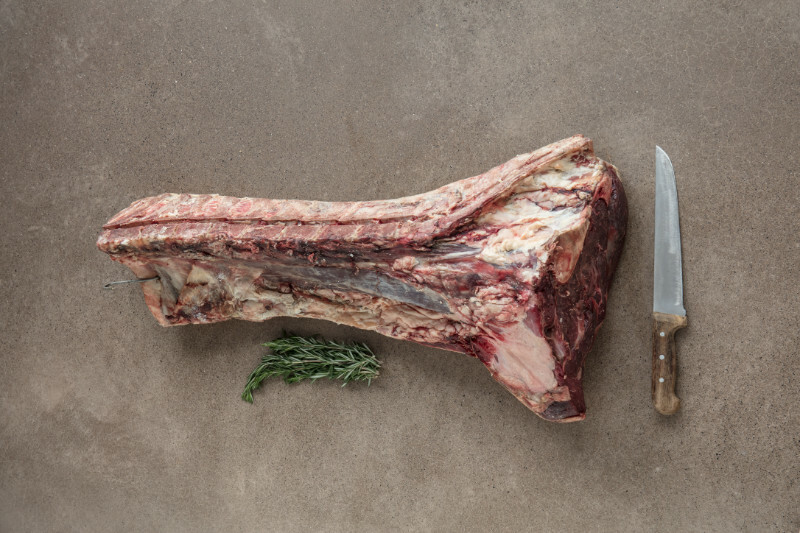 Using the dry-aging technique, we can mature beef for over 100 days to create the fabled ‘extreme-aged’ steak. 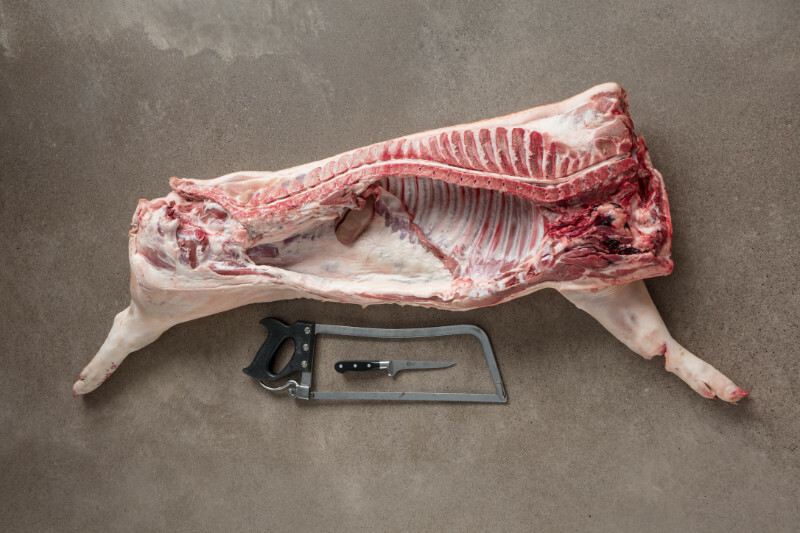 We use the dry-aging technique for cuts such as ribs, sirloin, rump and fillets (when we leave the suet, chain and fat on). 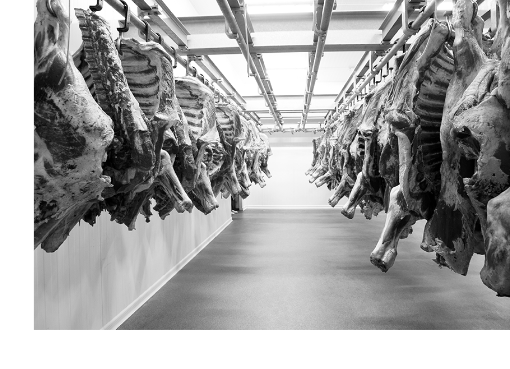 The cuts are placed into state-of-the-art dry-ageing fridges, which enable us to control the humidity in the atmosphere, while microbial lighting prevents the growth of bacteria. 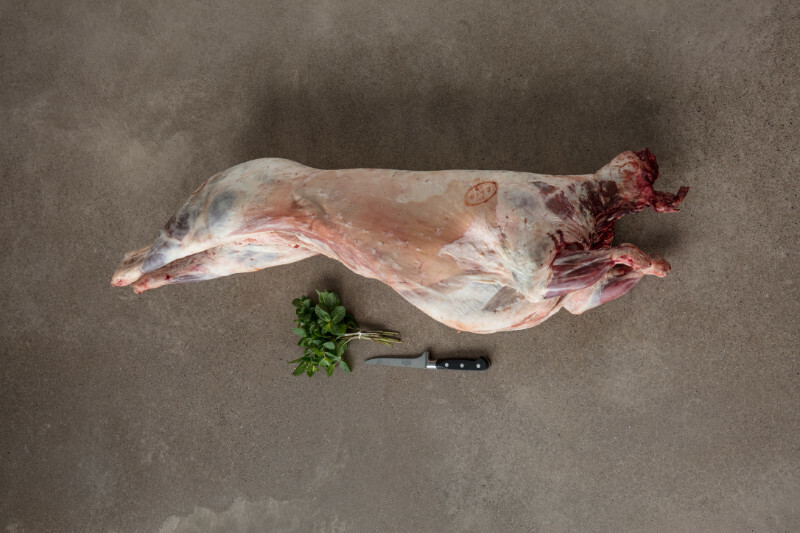 We rotate our stock on a daily basis to make sure it’s always being stored at its best – a level of care and attention to detail that places us at the forefront of modern butchery methods. Introducing the Hawk Safety System. Using the latest fridge temperature monitoring system, we can tailor the temperature of each fridge to suit our product range. This ensures our products are stored in optimal conditions at all times.